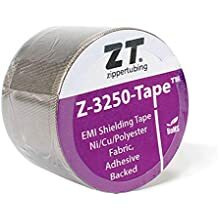 Connector Cover - Lightweight Jacketing - Wire And Cable Bundling - Products - ZT | Zippertubing Co. Protect your connector mated pairs with a product that is easy-to-install and remove whenever necessary. 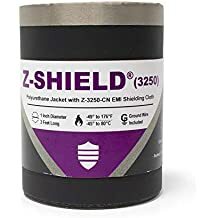 Connector Covers consist of a .020" thick, high temperature PVC jacket material that meets Mil-I-631D, Type F, Form S, Grade C, and Class 1 standards and incorporates an easy-to-use R-Track thumb pressure closure. The covers come in five standard trapezoidal shapes and are intended to minimize dirt and fluid exposure on critical interconnect components. When used in conjunction with Zippertubing's type 63-10 cable jacketing, the covers can create a fully enclosed cable jacket assembly. The Connector Cover™ may also be cut to form tapered cone shapes that can provide protection to a connector mated to a bulkhead or panel. The covers have good fluid resistance properties and operate over a temperature range of -20 to 105°C (-4° to 221°F).